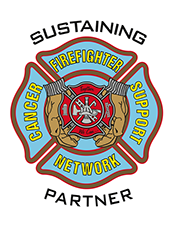 In late April 2013, the Firefighter Cancer Support Network (FCSN) invited a small group of experts to Indianapolis to develop a white paper on cancer in the fire service. The participants came from the legal, medical- and social-research communities, and the fire service — including volunteer, combination and career departments and chief officers, firefighters, company officers, union leaders, and local and state fire training directors. Two firefighters who are cancer survivors participated, and every workshop participant knew firefighters who currently have cancer or who died as a result of cancer. They willingly shared their knowledge, experience, commitment, and questions to better understand and describe the complexity of firefighter cancer awareness. The discussions addressed prevention, diagnosis, treatment and the long-term implications for the firefighter, the fire- fighter’s family, their coworkers, the fire department and community policy. Importantly, they also identified a series of actions that firefighters can take to reduce their exposure to chemicals that can cause or facilitate cancer. In two-and-a-half days, the working group outlined and wrote the initial draft of a white paper describing the status of cancer in the fire service and developed answers to very challenging questions. This report is the result of that working group which was enhanced by the additional review of multiple career and volunteer operational fire companies, additional clinical researchers and medical physicians, other stakeholders and the leadership of the FCSN. The Indianapolis Fire Department hosted the workshop at its head- quarters, and the Indianapolis Metropolitan Professional Firefighters Association IAFF Local 416 extended its well-known and gracious hospitality and support, complemented by the facilitation skills of the Volunteer & Combination Officers Section of the International Association of Fire Chiefs. Special thanks to Chief John Buckman for taking great notes during the workshop and to Garry Briese for writing the document, to the Indianapolis Firefighter Emerald Society Bagpipe Band for their bus, to the Indiana State Professional Firefighters Association for their support, and to Captain Tim McDonnell, IFD and FCSN Board Member, who did yeoman’s work in making the on-site arrangements and logistics. The FCSN offers our sincere appreciation to all these individuals and organizations for this successful effort. Firefighter cancer is a looming personal catastrophe for each and every fire- fighter. Cancer is the most dangerous and unrecognized threat to the health and safety of our nation’s firefighters. We are just beginning to understand the horrific magnitude of the problem, the depth of our naiveté, the challenges involved and the changes required in education, training, operations, medical screenings and personal accountability to effectively address cancer in the fire service. Photos appear every day of firefighters working in active and overhaul fire environments with SCBA on their backs but not masks on their faces. Firefighters still proudly wear dirty and contaminated turnout gear and helmets. Some fire instructors wear their carcinogen-loaded helmets and bunker gear as symbols of their firefighting experience. — apparatus bays as well as living, sleeping and eating quarters. Many firefighters only have one set of gear which means they are continually re-contaminated from previous fires. Some diesel exhaust systems — even when installed — are not used, are used incorrectly or are poorly maintained. Bunker gear still is stored in apparatus bays where it is bathed in diesel exhaust. Bunker gear goes unwashed for months at a time, even after significant fires. Many volunteers carry their contaminated gear in the trunks of their personal vehicles resulting in superheating and enhanced off-gassing of contaminants into the passenger compartment and sometimes even into their homes. Firefighters put their contaminated gear into the cabs of their apparatus both before and after fires. Some firefighters still take their contaminated bunker pants and boots into sleeping quarters. The interiors of apparatus cabs are rarely decontaminated. Many firefighters do not take showers immediately following fires. “Pinpointing the cause of cancer is extremely difficult because firefighters are not exposed to just one agent. They are exposed to multiple cancer-causing agents. Because of the multiple exposures and the multiple routes of exposure — they inhale carcinogens and carcinogens are absorbed through the skin — it is also highly unlikely for firefighters to get only one type of cancer,” said Grace LeMasters, Ph.D., a professor of epidemiology at the University of Cincinnati and the lead author of a 2006 meta-analysis of 32 published studies of cancer in firefighters. Unfortunately, there is no immediate visible impact of carcinogenic exposure, since the time between exposure to carcinogens and the appearance of malignancies can be 20 years or longer, known as the latency period. WHAT IS THE SCOPE OF THE CANCER PROBLEM? A May 2013 report for the President’s Cancer Panel, a three-person panel that reports to the U.S. president on the National Cancer Program, said approximately 41% of Americans will be diagnosed with cancer during their lifetime. In the early 1970s, the five-year survival rate for all invasive cancers was a dismal 43% and the treatments — disfiguring surgery, almost unbelievably toxic chemotherapy, and indiscriminate radiation — were so dreadful that many patients considered them worse than the disease. Today the five-year survival rate for all cancers is 67%. Surgery, chemotherapy and radiation — still the triad of successful cancer treatment — are more precise, causing much less pain and disfigurement, resulting in a huge upswing in the number of cancer survivors from just 3 million in 1971 to about 12 million in 2012. While 41% is a significant number by itself and that is a challenge for all Americans, that is not the specific challenge for the fire service. The fire service faces an even greater challenge. Firefighters have a statistically significant higher risk for multiple cancers than the general population. In 2006, researchers at the University of Cincinnati published their meta-analysis of 32 studies of cancer among firefighters. Based on their analysis, there was a significantly increased risk among firefighters for a number of cancers, including multiple myeloma, non- Hodgkin’s lymphoma and prostate and testicular cancer. In 2007, the World Health Organization’s International Agency for Research on Cancer Working Group classified firefighting as “possibly carcinogenic to humans” and called for more research to better understand cancer risks among firefighters. In October 2010, the National Institute for Occupational Safety and Health (NIOSH) began a major retrospective study of cancer in firefighters and collected data from some 30,000 firefighters in three metro fire departments. The analysis of the data is underway and the initial report is due in 2014. In May 2011 at the 2nd National Fire Service Research Agenda Symposium, there was an identified priority for continued research on fire service exposure related to cancer. In late 2011, Australia started a large-scale study of cancer among up to 162,000 former and current career, part-time and volunteer firefighters, and like the NIOSH study, will include women firefighters. In 2012, the Massachusetts Coalition for Occupational Safety & Health named firefighting as the most deadly occupation in their state. In September 2012, the U.S. government announced that the 70,000 surviving firefighters, police officers and other first responders who were present at the World Trade Center and the Pentagon after the attacks of Sept. 11, 2001 are entitled to free monitoring and treatment for some 50 forms of cancer. This is significant because it is the first time that the federal government has formally recognized the link between firefighting and cancer. In 2012, case studies in the San Francisco Fire Department suggested an increase in breast cancer among women firefighters. While previous studies have not examined cancer risks specific to women, women have now been in the fire service long enough to begin experiencing the effects of long-term exposure to the toxic chemicals from fires. The pending NIOSH Cancer Study will be the one of the few studies examining cancer risks in U.S. female firefighters, although the sample size for female firefighters remains relatively small. While the methodology and conclusions of this report were criticized and refuted by the national fire service organizations, the NLC report should be read by the fire service as a prime example of the challenges facing existing or new presumptive cancer legislation. Current research demonstrates an increased risk for a number of types of cancer among firefighters. Although most fire departments are responding to fewer fires than in the past, the amount of exposure time has increased due to the limited number of available firefighters, either due to budget cuts, staffing reductions or the avail- ability of volunteers. Today’s fires grow at a much more rapid rate than yesterday’s fires while exposing firefighters to significantly increased concentrations of highly carcinogenic agents. Today’s residential fires have more in common with hazmat events than old-fashioned house fires due to the materials now common in homes such as plastics and synthetics. Commercial and vehicle fires have highly concentrated toxicants and dumpster fires contain completely unknown substances and toxicants. Many researchers believe that cancer rates among firefighters would be even higher if it was not for the “healthy-worker effect.” Firefighters are expected worker effect.” Firefighters are expected to have a lower rate of cancer than the general population because the job tends to attract people who are healthy and in better shape, at least when they start their careers. It is also believed that cancer rates are potentially underreported among firefighters because many firefighters do not discover they have cancer until after retiring and are subsequently then considered to be a part of the general population comparison group. Volunteers were not, and are not, included in any of the previous or on-going U.S. studies. A large scale study of cancer and other causes of death among Australian firefighters was begun in late 2011 and up to 162,000 former and current career, part-time, paid and volunteer firefighters make up the study population. This study includes men and women firefighters. Some good news is that firefighters may have a lower incidence of lung cancer in some studies than the general population. If this holds in the current studies underway, it may be due to restrictions on the use of tobacco products and to the increased use of SCBA. Following the lungs, the skin is the body’s second largest organ in area and it is highly absorptive. Some areas of skin are more permeable than others, specifically the face, the angle of the jaw, the neck and throat and the groin. Skin’s permeability increases with temperature and for every 5° increase in skin temperature, absorption increases 400%. The most permeable piece of personal protective equipment is the hood. Hoods are designed to protect our head and neck from heat but are not designed to stop skin absorption through the forehead, angle of the jaw, the neck and throat. Every firefighter knows that a lot of soot gets through their hoods, sits on sweaty, hot, highly permeable areas of skin, and then is rubbed into the skin as the firefighter is working. Some cancer studies are also noting that firefighters are developing far more aggressive types of cancers, such as brain cancers, at a younger age than the general population, which provides further indications that the cancer could be a result of firefighting. Rarely discussed and certainly not documented is the impact on the fam- ily of a firefighter diagnosed with cancer including the huge emotional toll, financial costs, time, and decreased quality of life not only for the firefighter but on the spouse/partner and children. They also experience the impact of a cancer diagnosis and prolonged treatment on their loved one. The direct and indirect cost of a cancer diagnosis on a fire department is huge and starts with the emotional impact on the other firefighters. The loss of a qualified and experienced member, even for the time of treatment, includes training, overtime and backfill and will increase insurance costs after a cancer event which adds to the costs of both the individual and the department. It is in the interest of all involved to reduce the impact of cancer on the fire service through a proactive and aggressive approach by the reduction of exposure to carcinogens. It is not acceptable to return from a medical call with blood or vomitus on our clothing and then sit back down at work or return to the dinner table at home. The same concern should be exercised after returning from a fire: gear must be cleaned, clothing must be washed and showers must be taken — before returning to work or family activities to reduce carcinogenic exposure. Many volunteers carry their PPE in their personal vehicle, often in the trunk or even in the vehicle’s passenger compartment. Handling PPE in this manner facilitates the off-gassing of toxins and carcinogens, especially when the PPE is heated by elevated temperatures from the sun. The interior of a car or pickup truck parked in the sun for just a few hours will get very hot. On an 85° day, the interior temperature will rise to more than 120° due to the “greenhouse effect.” Surprisingly, the inside of a trunk is often cooler than the inside of the car itself because there are no windows for sunlight to enter. Temperature readings inside the trunk can be 5-10 degrees cooler than the air in the passenger compartment. In either situation, actions need to be taken to protect from off-gassing into the vehicle passenger compartment. These protective actions could include: keeping PPE in closed, zippered duffel bags or large sealed “Rubbermaid-style” storage bins and taking contaminated PPE back to the fire station on the fire apparatus for washing, cleaning and decontamination. Most volunteer/combination fire departments are particularly challenged when it comes to tracking exposures over the lifetime of their volunteers who frequently come and go, some staying for a short time and others staying longer. There is not a common reporting system that tracks which volunteers were on what scene and for how long. In the interim, each firefighter should establish their own method of capturing this type of information, using personal computers, mobile devices or even index cards. Departments need to identify proper facilities that can be responsive to quickly clean and decontaminate PPE according to the current edition of NFPA 1851. Two current alternatives are sending the gear out for cleaning to qualified vendors or purchasing washer-extractors for use in the fire station. In the real world, neither of these may be currently available due to budget limitations. In the meantime, some volunteer departments have implemented interim procedures such as: wiping skin areas with Wet-Naps or baby wipes; gross decontamination at the fire scene with booster lines; transporting contaminated gear on fire apparatus to the fire station instead of in personal vehicles; thoroughly washing bunker gear with hoses back at the station; washing clothes and hoods as soon as possible; cleaning helmets and helmet liners/ suspensions and immediately showering. WHY ARE EXPOSURE RECORDS ESSENTIAL? Any record of exposure is better than no record. Currently there is no national guidance for the collection and reporting of exposures to toxicants, including carcinogens or tumor-promoting agents. Exposure reporting guidelines exist for hazmat incidents, but guidelines need to be developed and implemented for exposure to chemicals, toxicants and carcinogens from incidents other than those covered by traditional hazmat guidelines. Firefighters need to change their perception and acknowledge that structure, vehicle, dumpster and even wildland fires contain the same chemicals and toxicants, sometimes in greater concentrations, than in hazmat releases and exposure records need to be maintained for all of these exposures. The IAFF and several state union organizations, such as the California Professional Fire Fighters, have established cancer registries and/or exposure tracking systems for their members. While some of these systems have been available for many years, utilization by individual firefighters can still be significantly enhanced as the definition of toxic and carcinogenic exposures expands to include more and more incidents. In states where cancer presumptive legislation has been implemented, having exposure records bolsters the case of the impacted firefighter as more and more cases are being challenged and existing presumptive legislation is coming under re-examination. To ensure better protection and prevention, retired firefighters and volunteers who leave service should also be included in these tracking systems for following long-term health status changes, longevity and cause of death. General cancer registries must be updated to capture both an individual’s primary and secondary work history, including specific types of hazardous volunteer work (such as firefighting). WHAT IS THE ROLE OF THE FIRE CHIEF? Like the company officer, the fire chief must lead by example and set clear expectations about cancer awareness and prevention. The significant difference is that, “the buck stops on the fire chief’s desk” to set clear expectations, develop and enforce procedures, policies, and operational changes. The chief must take the initiative to personally understand the facts about cancer in firefighters. Initiate the discussion among the leadership team and then with the firefighters about the prevalence of cancer in the fire service and the preventive measures that can be implemented. Identify what the department will do. Identify operational enhancements and changes, set clear expectations and then enforce the policies — every time. The goal is to have firefighters understand the risk and the rationale for the changes. As with any other SOP/SOG, enforcement needs to be consistent with company officers and chief officers setting the example. Integrate cancer awareness and prevention into related training. Review the SOPs about mandatory use of SCBAs from the initiation of active fire operations to the completion of the overhaul process, field decontamination procedures including the use of industrial strength wet wipes and mandatory showers. Make cancer awareness and prevention a priority, including the implementation of an appropriate exposure tracking system. Fire chiefs should work with their governing organizations, supervisors, government leaders and unions to seek and provide adequate funding for cancer awareness and prevention, necessary equipment and annual physical examinations, including appropriate cancer screening. An early cancer diagnosis will increase survival and decrease the overall costs of treatment. HOW CAN THE GOVERNING JURISDICTION ASSIST IN REDUCING CANCER IN FIREFIGHTERS? Appointed and elected officials must remain open-minded in order to address the complicated issues surrounding cancer in firefighters as well as the requisite funding that will be necessary to reduce its effects in the fire service. Many awareness and prevention efforts, including operational changes, are low cost and high impact. There are some essential exposure solutions, like diesel exhaust systems and PPE cleaning, annual physicals and cancer screenings, which require initial and on-going funding. These must become a priority. If governing jurisdictions are proactive with funding, the wellness of fire- fighters will be enhanced and the overarching costs that accompany a cancer diagnosis can be better managed and even minimized. Eventually the costs associated with cancer in firefighters will need to be dis- cussed. In many ways, unfortunately, it really is all about the money. The NLC raised several municipal policy questions in their study. What actions can municipalities take to require and encourage the use of safety equipment by firefighters? What actions can be taken take to curtail smoking by career and volunteer fire- fighters? Should municipalities take action to eliminate or limit second jobs held by fire- fighters that may increase the probability that firefighters develop cancer? How should volunteers be treated under the presumptive laws since they often never retire from the fire service? Is firefighters’ exposure significantly less now that fire departments spend a greater percentage of their on-duty time responding to EMS and other non-fire calls? Fire service leaders must understand the concerns reflected by the NLC and concurred by other municipal, county and state elected leaders. Understanding does not mean agreeing, it means recognizing. If the fire service is going to be successful in increasing awareness and preventing cancer in firefighters, then the cooperation of both elected and appointed officials is essential. WHAT ARE THE ROLES OF THE LOCAL, STATE AND NATIONAL FIRE ACADEMIES? Leading by example is the best description of the key role that our local, state and national fire academies can fulfill in the initiative to integrate awareness and prevention of cancer in firefighters. All fire academies need to adopt and integrate awareness training and discussions of the cancer risk to firefighters. It should not be an afterthought, or something that is “bolted on” to a course of instruction. Cancer awareness should be given the status that this terrible risk to the health of firefighters deserves. Cancer awareness training needs to start with a firefighter’s initial training since we now understand that firefighters are exposed to significant carcinogens on a regular basis. Concentration on the dangers of smoke and soot needs to be enhanced with more information about the carcinogenic impact of components of combustion, including benzene, chloroform, styrene, formaldehyde, polycyclic aromatic hydrocarbons, plasticizers and fire retardants, among many more. All of these are absorbed through the skin. If SCBA is not worn throughout each fire incident, these carcinogens will also be absorbed through the lungs. Soot has ultra-fine particles that enter the lungs and it is also absorbed through the skin traveling to most organs including the brain. Fire academies need to incorporate recommendations from this paper to provide students with the best examples of what can be done to significantly reduce exposure to carcinogens. Instructors need to “walk the talk” by wearing clean bunker gear and helmets and utilizing other recommendations to teach, perform and enforce new procedures, including the initiation of expedient field decontamination as soon as reasonably feasible after post-fire operations. The use of skin wipes, such as Wet-Naps or baby wipes should be used to remove soot and contamination from vulnerable skin areas between evolutions and should become as common as re-hydrating in rehab. Training schedules should be adjusted to allow sufficient time for the laundering and decontamination of PPE which must, at a minimum, be conducted in accordance with NFPA and manufacturer recommendations. FF1/FF2 curriculum needs to include instructions on how to perform PPE cleaning using NFPA 1851 highly programmable, front-load washer-extractors and gear dryers. Fire- fighters in fire operations training should leave the academy environment with cleaner gear than when they arrived. All levels of fire officer education and training should clearly address the risks of cancer and stress the key role and responsibility of the officer in providing leadership while protecting their firefighters from carcinogens. Cancer awareness/prevention curricula need to be developed, including appropriate AV support, enhanced videos and personal stories of firefighters surviving a cancer diagnosis. Curricula and supporting information need to be presented to state firefighting standards boards for review and approval and passage to local fire training academies and departments. This training should serve as a catalyst for change through the U.S. fire service. WHAT CAN FIRE EQUIPMENT MANUFACTURERS AND ARCHITECTS DO TO ASSIST? Manufacturers provide a large variety of what the fire service needs to minimize firefighter exposure to carcinogens including NFPA-compliant personal protective equipment, self-contained breathing apparatus, vehicle exhaust extraction systems, detergents, washer-extractors, gear dryers, cleaning equipment and skin decontamination equipment. Tremendous knowledge resides in these companies and their expertise needs to be embraced as the fire service moves forward to meet this new challenge. Innovation and new approaches may provide cost-effective solutions to cancer prevention questions. Initially, manufacturers can support “jump starting” firefighter cancer awareness and prevention by directly supporting, with funding, the development of the new firefighter cancer awareness/prevention curricula, appropriate AV sup- port and enhanced videos. The fire service needs to include manufacturers in the development of these training materials to ensure that the cancer awareness/prevention information is coordinated with available commercial solutions and manufacturer initiatives. As gaps are identified, further research and development should be conducted by commercial providers to identify the full spectrum of carcinogenic hazards, as well as appropriate protection and decontamination technologies. Funding may need to be facilitated from the US government to support this research and product development. The design of fire stations, whether for new construction or renovation, must include such standard design features as state-of-the-art equipment and systems for adequate air flow, removal and capture of carcinogens and particulates, appropriate location and ventilation of storage rooms for contaminated PPE and other equipment, washer-extractor and gear drying equipment, as well as clear separation of living quarters from the apparatus floor. In short, architects should be working to design cancer out of fire stations. Responsible elected and appointed officials should require this type of expertise when hiring design professionals for fire stations. WHAT ABOUT THE NATIONAL FIRE SERVICE ORGANIZATIONS? A commitment from the national fire service organizations, similar to that of the commitment given to the 16 Firefighter Life-Safety Initiatives, is required if significant progress in three to five years is the goal. A coalition should be formed consisting of the International Association of Fire Fighters (IAFF), International Association of Fire Chiefs (IAFC), Volunteer & Combination Officers Section of the IAFC (VCOS/IAFC), Safety Health & Survival Section of the IAFC (SHS/IAFC), National Volunteer Fire Council (NVFC), Firefighter Cancer Support Network (FCSN), Fire Fighter Cancer Foundation (FFCN), National Fire Protection Association (NFPA), National Association of State Fire Training Directors (NASFTD), Fire Depart- ment Safety Officers Association (FDSOA) International Society of Fire Service Instructors (ISFSI), National Fallen Firefighters Foundation (NFFF), International Fire Service Training Association (IFSTA), Fire Apparatus Manufacturers Association (FAMA), and Fire Equipment Manufacturers & Services Association (FEMSA). It is essential that both for-profit and non-profit fire service textbook publishers, conference organizers and education providers are included as members of this national coalition. Given the highly successful model of the Life-Safety Initiatives, this new Firefighter Cancer Coalition Initiative can implement the lessons learned and expedite implementation of the recommendations. This will require sustained effort, talent and financial resources over three to five years to develop an aggressive framework to address cancer awareness/prevention in the fire service. WHAT ARE THE PENDING RESEARCH QUESTIONS? Many unanswered questions and areas needing further exploration and research were discussed through the creation of this white paper. These topics were all identified as significant, although no priority or tiered ranking was done. Research in-depth the epidemiology of cancer among firefighters specifically related to the most common types of cancer. Develop a firefighter-specific cancer registry to help elucidate the relationship between exposure and cancer development. Explore the relationship between behavioral risk factors (high-sugar diets, weight, alcohol consumption, exercise, smoking) and their relative contribution to firefighter cancer. Engage cohort studies to better elucidate risk. Develop better methods for tracking exposure (e.g. frequency, duration) and relating exposure to risk development. Improve identification of better biomarkers for exposure (e.g. blood, urine, saliva) and disease. Analyze regional differences in cancer incidence and possible reasons for differences (e.g. behavioral norms around SCBA use, building materials). Understand the relative contribution of different routes of exposure (e.g. inhalation vs. skin absorption) among firefighters. Examine the contribution of contamination under or through firefighter gear (e.g. boot tops, PPE). Investigate the contribution of contamination from helmets, helmet liners, and hoods. Research the most effective methods and modes of gear decontamination (e.g. types of cleaners, frequency). Examine the efficacy of rapid field decontamination measures (e.g. wet-Naps or baby wipes on scene). Study cancer epidemiology and risk specific to female firefighters (e.g. San Francisco study on breast cancer). Research specific epidemiology and risk among minority firefighters. Examine the relative efficacy of fire station design features in cancer prevention. Determine the extent of carcinogenic exposure within the firehouse. Understand the relative effectiveness of prevention efforts among firefighters. Investigate the risk associated with firefighter foams used in suppression. Research the cancer risk associated with fire retardants. Analyze cancer clusters as they are identified. Use additional meta-analytic analysis as new research emerges which will be helpful in quantifying the relative risk of different types of cancer for firefighters. Create a central resource directory for cancer research to help disseminate and translate research between researchers and the fire service. Schedule regular meetings among key stakeholders and the research community to identify research questions, disseminate and translate existing and future research. The following research areas were identified by the Equipment Subgroup of The Interagency Board when they examined the “Evaluation of Hazards in the Post-Fire Environment” at a meeting in New Orleans in February 2013. The efficacy of methods and determination of best practices for decontamination (including field expedient decontamination) from post-fire hazards . WHAT IMMEDIATE ACTIONS CAN I TAKE TO PROTECT MYSELF? 3. Use Wet-Nap or baby wipes to remove as much soot as possible from head, neck, jaw, throat, underarms and hands immediately and while still on the scene. The importance of annual medical examinations cannot be overstated — early detection and early treatment are essential to increasing survival. FCSN recognizes and deeply appreciates the support provided by Honeywell First Responder Products and Fire chief magazine in the production and printing of this white paper report. What is the Role of the Company Officer in Addressing Firefighter Cancer? The company officer, as the leader of the most operational working group in the fire service, is the single most influential person concerning the team’s attitude, operations and willingness to change. In this key role, the company officer must lead by example and set clear expectations concerning cancer awareness, prevention, tracking of exposure and the essential operational changes necessary to minimize exposure to carcinogens and other toxins. What is the Role of the Battalion Chief in Addressing Firefighter Cancer? As a second set of eyes, the next level of supervision and the person in charge of multiunit operations, the Battalion Chief (BC) has the responsibility of overall command and situational awareness. This key position allows the BC to provide reinforcement of SOPs, SOGs and other operational practices concerning cancer exposure reduction. Most cancer patients will suffer from distress, ranging from normal feelings of vulnerability and sadness to fear or debilitating anxiety and even panic. They are concerned if their cancer diagnosis is a death sentence and how long they have to live. They also are worried about how they will be perceived by their firefighter colleagues, friends and family; whether they can resume work; how well they will cope with the cancer and the coming treatments; and how to pay their medical bills. n Be supportive, offer your presence. n Be a good listener. n Be genuinely concerned. n O ffer to assist with identifying their rights for treatment and how to navigate the process. n I f you have the knowledge, share it. n I f you know where to get the answers, go get them. n E ncourage them to maintain copies of all reports and scans. n E ncourage others to not stop communications but to send cards and letters since email just does not have the same emotional impact. n Refer them to the Firefighter Cancer Support Network for someone to talk to who has had a similar diagnosis, www.firefightercancersupport.org/. The FCSN is a 501(c)3 charitable foundation organized to provide timely assistance and one-onone support to fire/EM S service members and their families after a cancer diagnosis and to educate the fire/EM S service about cancer awareness, prevention, early detection and treatment options. The FCSN was founded in 2005 by Los Angeles County Fire Department FF/PM Mike Dubron (survivor of stage IV colon cancer). FCSN is governed by an elected ten-member board of directors from across the nation. For more information or to contact the FCSN, visit www.fire fightercancersupport.org.